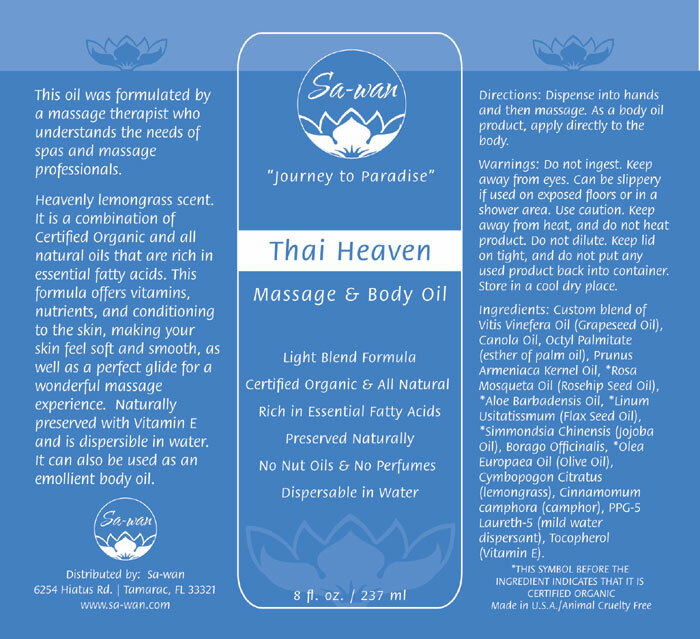 Our Thai Heaven massage and body oil has a heavenly fresh lemongrass scent. 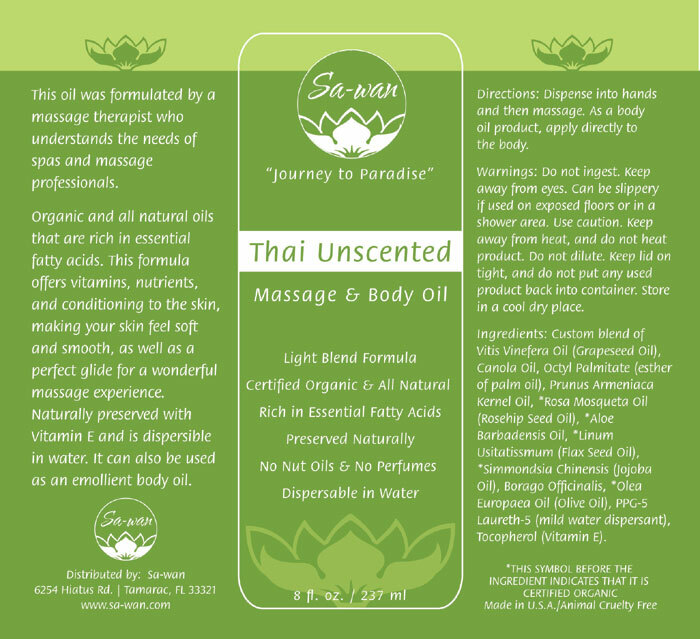 It is a combination of Certified Organic and all natural oils for massage and a emollient body oil. 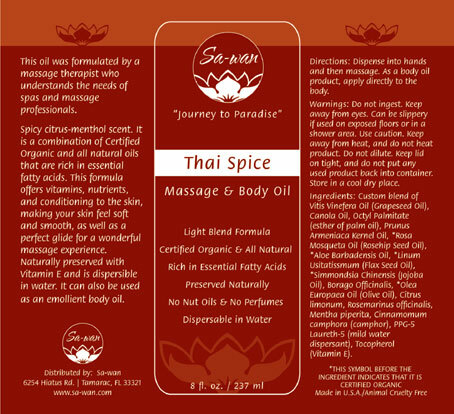 Our Thai Spice massage and body oil has a spicy, citrus scent. For those of you who prefer no scent but the same benefits.